Baseball Stars was one of the first sports games to have data memory, therefore players could create a team, configure baseball league & play a season, and throughout the CPU stored cumulative statistics. 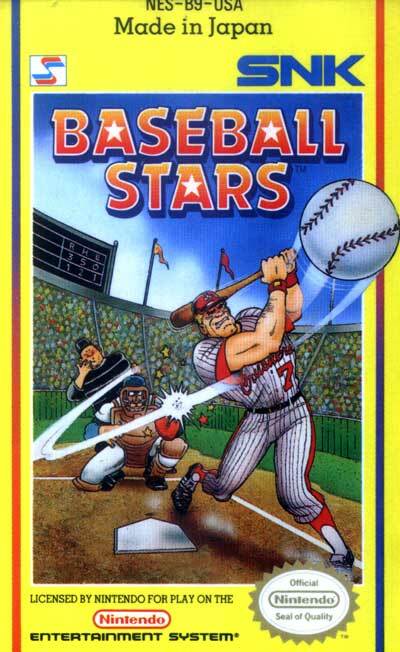 Baseball Stars was also the first sports game for the NES to have a create a player feature; giving gamers the power to name their players, as well as their teams. The game also introduced a role playing element; as each game played earns the winning team money, and the amount won is directly related to the sum of the prestige ratings of the players from both teams (as prestige determines how many paying fans attend the game). The money can be used to purchase upgrades to the various abilities of players currently on the roster, or it can be used to purchase pre-designed players (available in the Rookie, Veteran, and All-Star categories). A hidden feature allows players to purchase female baseball players (also a first).